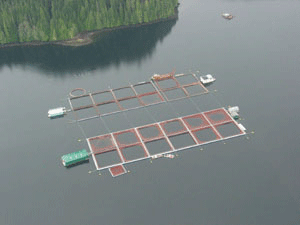 Salmon farming, as it currently operates in open net cages in the ocean, has been shown to be devastating to the marine environment, particularly wild salmon. The waste that is produced, the diseases and parasites such as sea lice, escapes of the farmed salmon, and entanglement and drowning of marine mammals are decimating the rich ecosystem of the northern Georgia Strait and Sunshine Coast. Judge Cohen made many recommendations and sadly, very few have been implemented and in fact, the federal government is blindly supporting the industry in its efforts to expand. This is an industry that offers us very little and puts our wild salmon at risk. Aquaculture has many benefits for society and the only path to sustainable salmon aquaculture is closed containment, a technology that is showing itself to be viable and a real option.